Ready for the most delightful chocolates YULE ever taste? 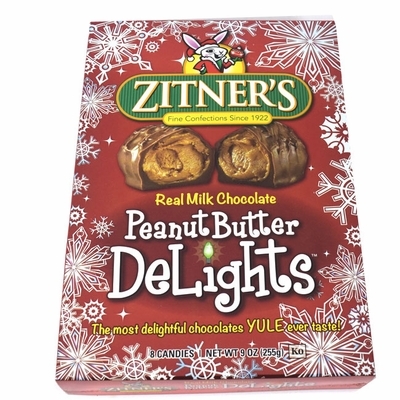 Zitner’s Peanut Butter Delights are this year’s most craveable stocking stuffer! Fans of Zitner eggs for other holidays will adore the taste of real milk chocolate paired with creamy peanut butter. Candy lovers of all ages cannot get enough of these treats during the festive season, so stock up on this retro Christmas candy today! The shipping weight of a single box is 9 oz. Looking to make wholesale orders? 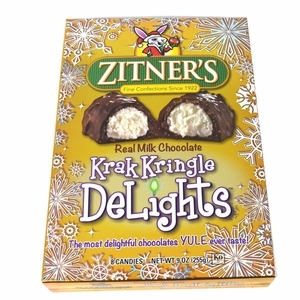 See how much you’ll save when you buy bulk Christmas candy at our wholesale page. How are these better than the Easter Eggs? I got a box of these for my Dad for Christmas. 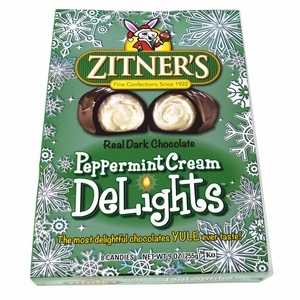 Even though he gets Zitner's eggs every Easter, he said these were some of the best eggs he had ever had. He begged me to get some more but my local store was sold out. I found them here at Blair Candy. I bought him 5 boxes. He loves them!